Please type name you want on towel. 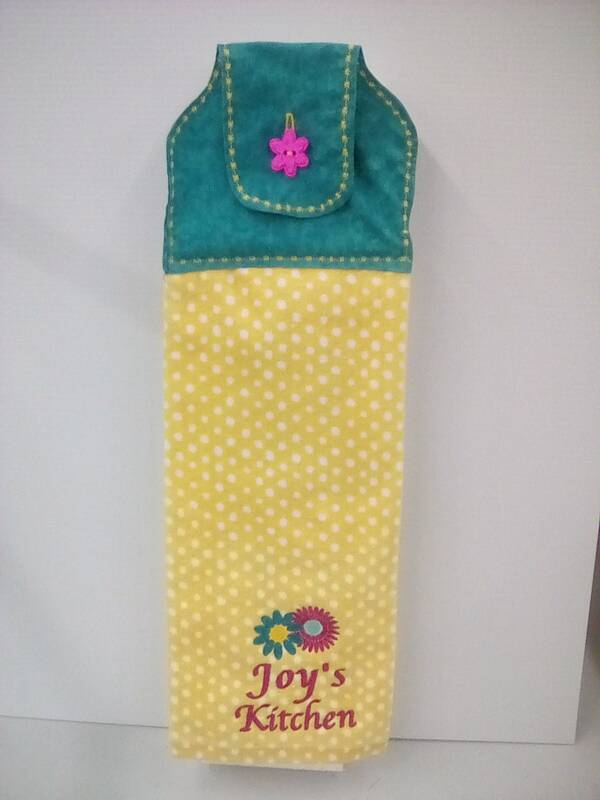 Personalized Kitchen towel. Towel color is yellow. Top of towel, button and embroidery colors can be changed to match your decor. This would make a great gift for mom, grandma, hostess, bride to be, housewarming.